We are all looking forward to Spring! We invite you to enjoy family-friendly activities in Morris County to celebrate this wonderful time of year! 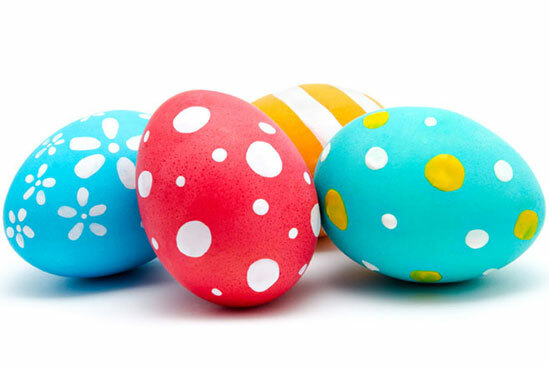 Includes a delicious all you can eat brunch, photo opportunity with the Easter Bunny plus all of our Springtime Family Festival activities including Easter egg hunts, baby farm animals, pony rides and more! Brunch includes a delicious assortment of breakfast and lunch items for the heartiest of appetites. Reservations are required. 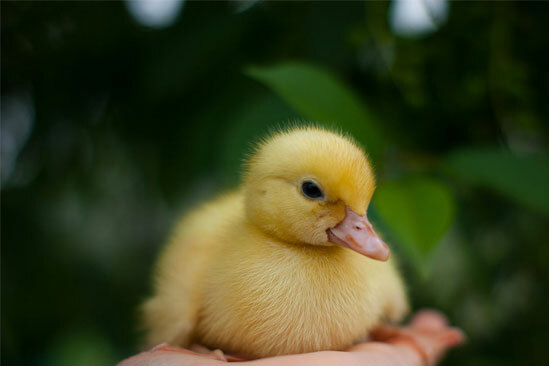 Enjoy Easter egg hunts, baby farm animals, scenic hay wagon rides around the farm, pony rides, and more! Don’t miss this popular springtime event! 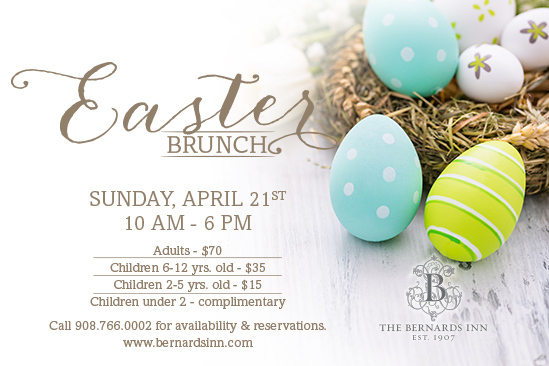 A special guest will be hopping to The Bernards Inn on Sunday, April 7th for our annual Breakfast with the Easter Bunny. Join us for a festive breakfast buffet from Chef Todd Mark Miller, meet the Easter Bunny and more! 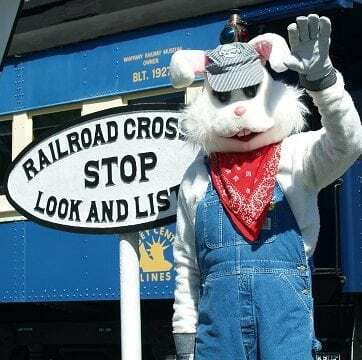 Celebrate the return of Spring, bring the kids, join in the fun and hop aboard the Easter Bunny’s favorite train ride at the Whippany Railway Museum. You’ll have an enjoyable Spring day as our diesel-powered streamliner makes a 10-mile, 45-minute round trip excursion from Whippany to Roseland and return. The Easter Bunny will be onboard greeting the youngsters and handing out holiday treats. Trains operate April 7, 13, 14 & 20, 2019. Celebrate the Spring bloom … in glass. Create memories and a beautiful glass flower that never fades, while learning to sculpt molten glass. Add color and vibrancy to your life in this fun, fast-paced workshop. Includes everything you need to create a 6” fondant cake to take home and enjoy with your family. and friends. 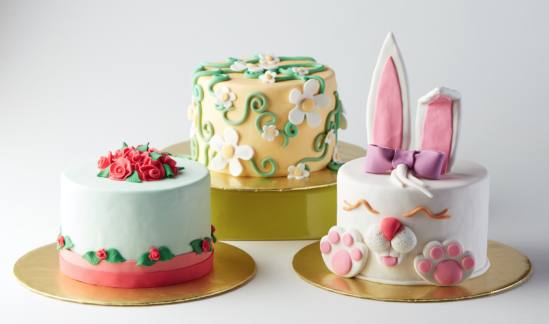 Grab a friend and join us for a fun interactive evening of laughs and cake decorating. Bring your favorite beverage and snack while we supply the rest. Plant spring flowering bulbs and pansies, and create a colorful arrangement of flowers to bring home. Join us to celebrate the start of Spring and Easter in this fun taster class. 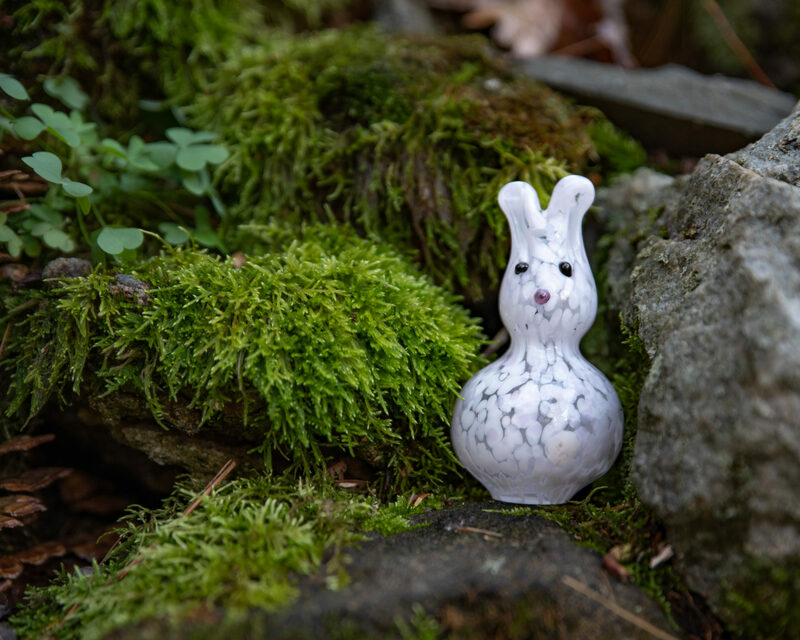 Learn about blown glass and make either a bunny, colorful Easter egg or cute little spring chick! Please come join us for an afternoon of family activities and an Easter Egg Hunt on the beautiful historic grounds! The Passaic River Coalition’s first annual Earth Day Easter Egg Hunt. 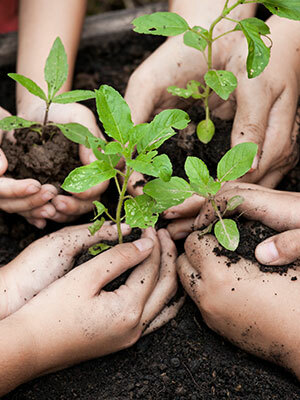 Celebrate Earth Day by planting your own garden! Learn all about good stewardship using sustainable and regenerative agriculture. Enjoy creating your own newspaper pots and selecting and planting seedlings to start your very own backyard garden. Instruction will be provided on how to create the newspaper pots and after we make our pots we will add soil and transplant something right from our very own greenhouses here at the farm. You will be taught how to maintain and care for your seedlings so you can plant them in your own garden this spring. With spring in full swing, let us show you how to keep your favorite veggies growing throughout the season. In this session, Farmer Shaun will give detailed instructions on how to use succession planting techniques in your garden to grow the perfect amount for your family all season long. You will learn how to properly plant your seedlings, time the next planting date, and tend to your seedlings when they are young. We’ll send you home with lettuce transplants for your own garden. Easter will be here before you know it! It’s time to make your reservations for our Easter Brunch Buffet at the Olde Mill Inn or the Grain House. Our chefs will prepare a delicious assortment of celebratory foods for you and your guests so that you can simply enjoy Easter with family and friends! We will also offer a buffet with dinner items starting at 4:00 pm. Celebrate Easter with family and a wonderful holiday meal from Chef Todd Mark Miller. Enjoy an extensive buffet and elaborate dessert display with those you love. Offering Delicious breakfast options, Carving Stations, Salads & Sweet Treats!